Today in Bolivia, thousands of vulnerable children live a life they did not choose: a life on the streets, struggling alone just to survive. Many have been abandoned by parents too desperately poor to feed them. Others have escaped violence at home or at school. The Salesian-run Don Bosco Project in the capital of Santa Cruz offers a safe haven for homeless children with nowhere else to turn. “There is a reason why they are here, and usually that reason is terrible,” says Lenny Perez, coordinator of Mano Amiga (“Helping Hand”), one of several youth shelters comprising the Don Bosco Project. She recalls the story of 10-year-old Hector, who arrived at Mano Amiga five years ago with no apparent relatives or record of his past. With no family or home of his own, he had wandered in and out of shelters his entire life, unwilling or unable to even speak. “We did not know what he had suffered in his short years, just that it was too much,” Lenny says. For this reason, the Don Bosco Project extends beyond emergency shelter, warm clothing, and nutritious meals. A professional team of psychologists, social workers, health care staff, and teachers works together to address the needs of the children in their care. Ultimately, the goal is to provide comprehensive rehabilitation and vocational training programs that offer a pathway to social inclusion and meaningful employment. 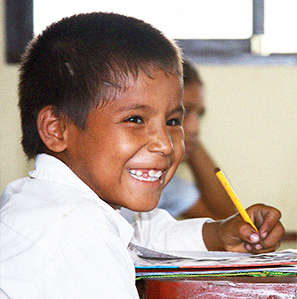 Each year, the Don Bosco Project serves more than 700 youth like Hector in a variety of ways. Techo Pinardi, the program’s free overnight shelter, is often an entry point for the homeless youth. It provides a concrete way for kids to compare the realities of living on the streets with the possibilities of genuine care and support. At Patio Don Bosco, a day center, youth can explore the possibilities of life beyond the streets. Children can catch up on their studies so they may return to school; participate in sports and other constructive activities; seek therapy for addictions or emotional trauma; and become familiar with specific trades and employment opportunities through practical workshops. And, boys and girls who demonstrate a commitment to leaving the streets behind can “graduate” to a vocational program, where they receive training in marketable trades. 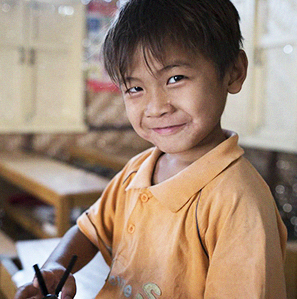 This puts them on a new path — one that guides them away from the streets and toward a brighter future. Our mission gives hope to homeless youth around the globe by offering the loving environment, encouragement, and education they need to become healthy, independent adults. What’s your mission?